Meet the Historians behind Auschwitz. Not long ago. Not far away. Auschwitz. Not long ago. Not far away. was developed by a world-renowned team of experts on the history of the Holocaust and Holocaust education. Their multidisciplinary approach helped develop the most comprehensive Holocaust exhibition ever presented in the United States. Dr. Robert Jan van Pelt is one of the main authorities on the history of Auschwitz. Van Pelt, born in Harleem (Netherlands), has published widely on the camp, including the award-winning Auschwitz, 1270 to the Present (1996) and The Case for Auschwitz (2002). 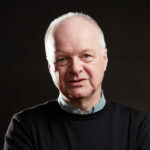 Throughout his career, he has served as a historical advisor on films such as Auschwitz: The Nazis and ‘The Final Solution’ (2005) by Laurence Rees, and co-curated The Evidence Room, exhibited at the Venice Biennale in 2016. 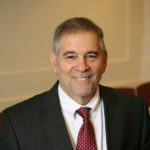 Dr. Michael Berenbaum is an author, professor, rabbi, and advisor on historical films and museum design. At the American Jewish University in Los Angeles, he is a professor of Jewish Studies and director of the Sigi Ziering Institute. He was Project Director of the United States Holocaust Memorial Museum from 1988-1993 and was the first Director of its Research Institute. Later, he served as President and CEO of the Survivors of the Shoah Visual History Foundation (today the USC Shoah Foundation), which took the testimony of 52,000 Holocaust survivor in 32 languages and 57 countries. 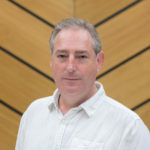 Paul Salmons is Program Director of UCL Centre for Holocaust Education at the Institute of Education at University College London. He leads pedagogical and educational aspects of Holocaust education in the UK and advised the UN on the creation of International Holocaust Remembrance Day. He is the lead author of the UN’s manual How to Teach About the Holocaust. Salmons has extensive experience in museum creation, including the permanent exhibition on the Holocaust at the London Imperial War Museum. Led by director Dr. Piotr Setkiewicz, the Centre for Research at the Auschwitz-Birkenau State Museum carries out academic studies on the history of the concentration and extermination camp, publishing its findings in books, monographs, and articles. Among the Centre’s many publications, a highlight is the comprehensive volume on the history of Auschwitz.